This was my 60th birthday treat, so I am not exactly a spring chicken. I am reasonably fit however, but not exceptionally so. 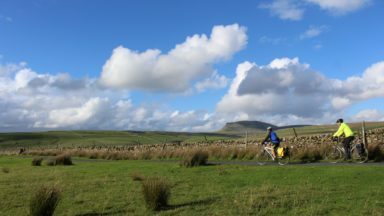 This was our third cycle tour following on from the C2C and Coast and Castles 3-day routes in earlier years, so we don’t have a vast body of cycle tour experience, although we are experienced long-distance trekkers. My wife Lesley therefore opted for an electric bike, but I persevered with a conventional one. Don’t go too early in the year. We went in the second week of June, and after a snowy winter the cols were only just starting to open. The Iseran stayed closed throughout, the Colombière as well – probably due more to avalanche and landslide damage than the snow itself. 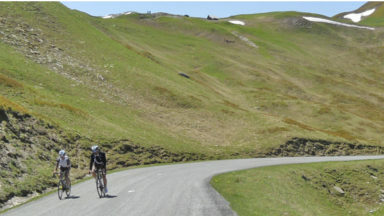 The Roselend, Madeleine and Galibier opened a day or so before we passed through, but we did plenty of planning for options and alternatives. 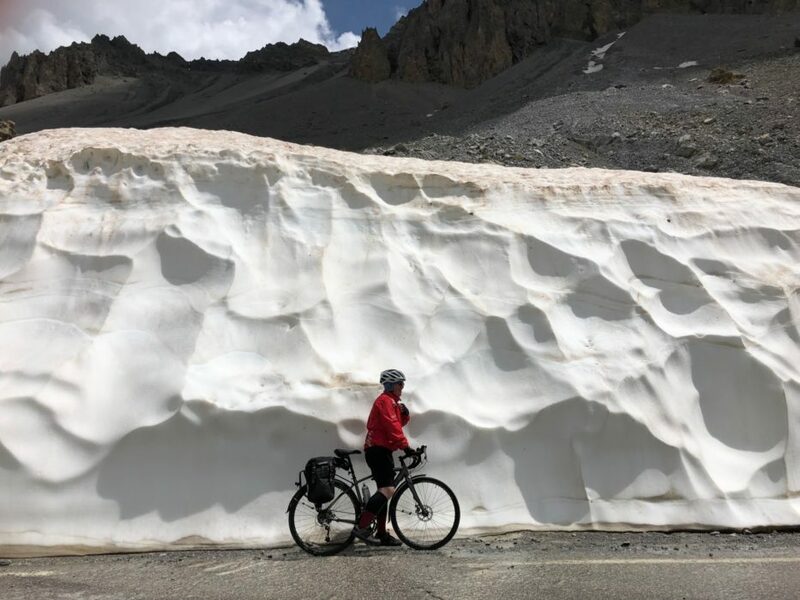 If you go early, monitor the cols and plan accordingly, and bear in mind that it’s usually possible for a cyclist to get through even before a col is officially open. 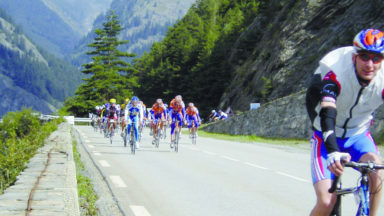 The best website for monitoring col status is Col Cyclisme. Allow enough time for the trip. Although tough guys of either gender could do it quicker, completing the route in six days or less is definitely possible. We had an outline plan to take eight days, and allowed two extra for bad weather, technical/mechanical delays and a rest by the sea at the end. 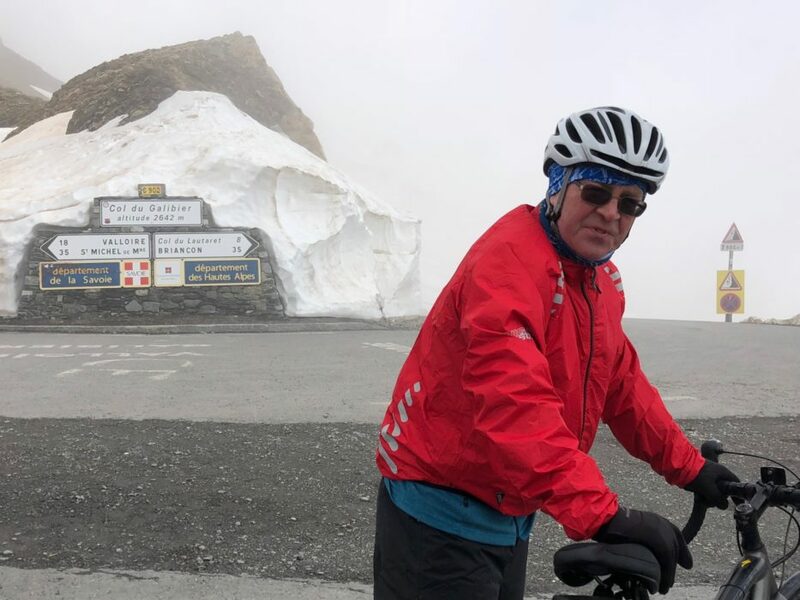 In fact, we got to Briançon ahead of plan and rather cruised through the southern Alps doing a col per day, so only took nine days overall. 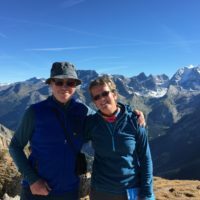 Looking back, I think that eight days would have been enough time to complete the route, and even seven days could have been quite achievable for us, but we strongly suggest that you don’t make it a race or an endurance test. There will be plenty of cyclists who will effortlessly pass you, but they may well be less than half your age – and not carrying any luggage! We managed with a small panier each, perhaps a reflection of our trekking experience, but were a bit shocked by the size of some of the loads people were cycling with, even when they were not camping. Some clothes to change into (enough for most weather conditions on the route), critical bike gear, map, phone, etc. should be quite enough. A lot of snow by the side of the road! Train well, but don’t overtrain. 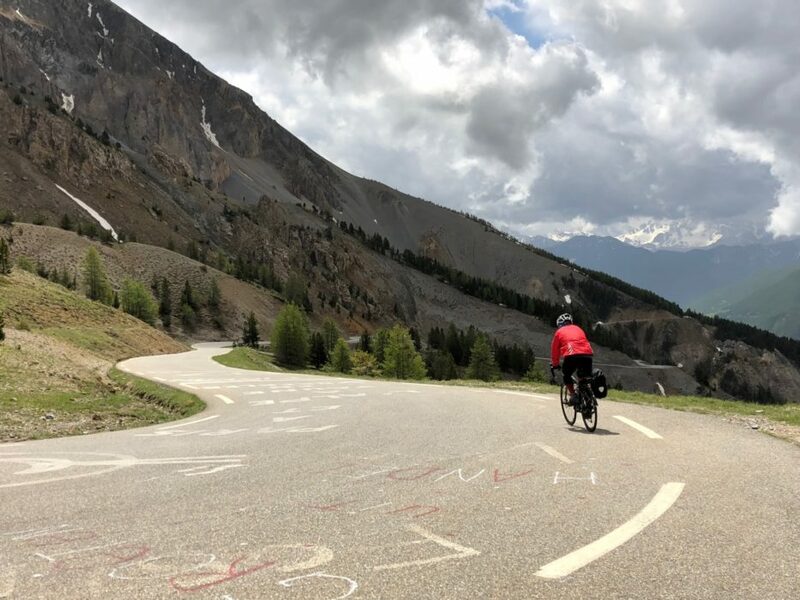 Living between the Lakes and the Dales, we have no problems finding hills to climb, and steep ones at that, but the longest climb is around 30 minutes – a bit different to the four hour route over the Telegraph and Galibier. 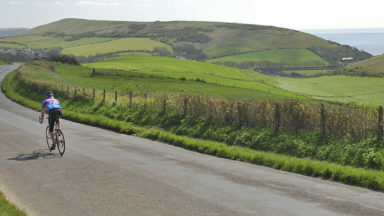 So climb hills to train, and also do a few longer rides. We did a couple of 200-250km weekend trips, which was quite enough. Eat well, but not too well. I didn’t plan out my nutrition in great detail, but was sure to eat a balanced range of foods; proteins, carbohydrates, basic food groups. No special food was required, and a good breakfast was enough to set me up well for the day. Eat and drink on the route. In truth I didn’t get too hungry, but we decided to munch on something every couple of hours anyway. Both of us found that bananas went down really easily during the day, and we preferred to eat ‘real’ food all the time, not gels. We did take a couple of ‘emergency’ gels, but never used them. We carried two water bottles each and drank water on the route, and took a few recovery drink tablets which seemed to help at the end of long days, or at least it tasted pleasantly different. Climb at 90% of maximum. Being “well built”, I clearly don’t have the physique of the “pure climber”, but I do have persistence and that is probably more important. I found a sensible gear and steadily worked my way over the climbs, riding my own ride, never competing with other riders, or myself. In practice I found we climbed at 500m per hour, +/- 20m or so, and continued this throughout the entire trip. I guess this means I was tiring at roughly the same rate at which I was strengthening – still undecided as to whether this was good news or not! Not that I ever tried anything else; it’s not a race. Take spare brake pads - make sure you've got the correct ones for your bike. Taking spare parts for your bike is a great idea - if you know how to fit them. Replacing your brakes can be a bit fiddly, so if you are unsure of how to do it properly then just find a bike shop. It's worth bearing in mind that the cycle shop may not stock the specific parts you need so it is worth taking spares with you if you have a non-standard bike. Fortunately, when my brakes needed urgent attention we found a fantastic bike shop (i.e., workshop) in Embrun, and there are doubtless more in the area and along the route. A handy piece of information for you: the French for ‘brakes’ is ‘les freines’. Get skilled at applying sun cream. I finally mastered this art after all these years. Five minutes in the morning before dressing was plenty of time to achieve full coverage, and occasional top-ups after long climbs was all that was needed during the day. Ensure electric bikes keep a good charge. 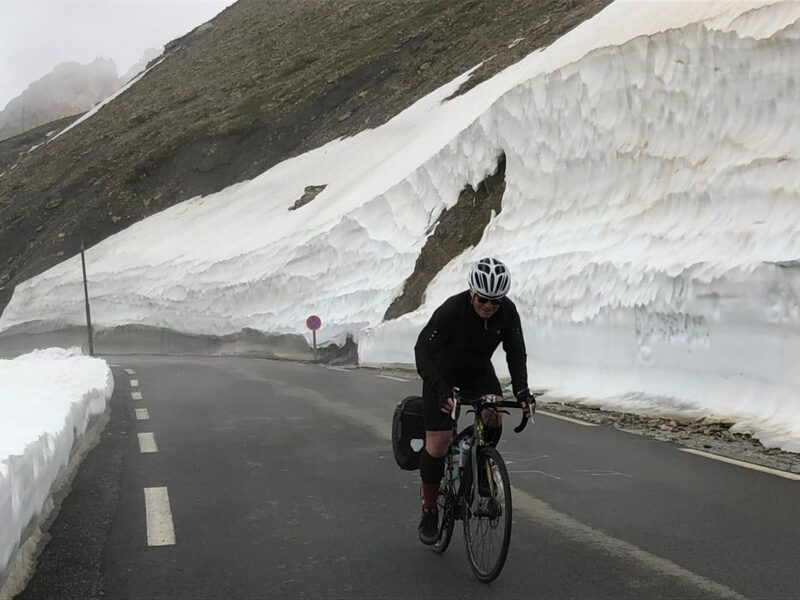 Pushing an electric bike over an alpine col is not recommended, and thankfully this never happened to us. Enjoy the stops, and plan them into the day. The weather should be good, and the days are long so there’s plenty of time to take a pause. 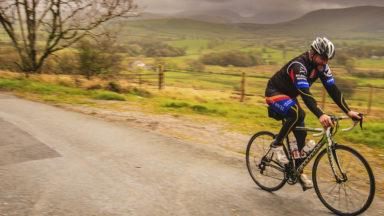 It’s unlikely that you’ll be doing more than six hours in the saddle, so take the time to enjoy the route. The scenery and delightful little villages and towns are well worth a quick stop to appreciate. Make sure to take some photographs of them as well, otherwise you’ll end up with just summit pictures! Don’t leave your cycling partner behind. Despite the electric bike, I managed this feat on a false flat section – not a smart idea. I’m pleased to say she ‘only’ fell off. Remember, a happy partner makes for a happy trip. Don't book accommodation at the top of a hill. When booking accommodation, always check if it involves an extra 400m of uphill to reach! Don't worry if you're not a spring chicken - give it a go! Overall, we had pretty good weather: it was hot and humid, but not excessively so. Importantly, winds were light and we had few head or crosswinds. It rained, but luckily never on steep descents. Cycling the route was a great birthday present, and if a not-quite-spring-chicken can manage it, so can anyone with persistence and a good bike.